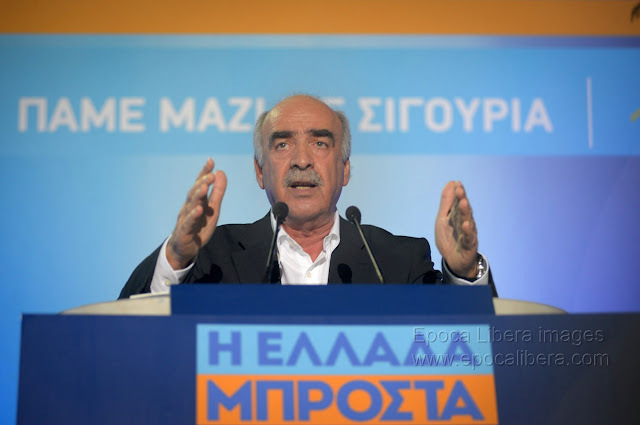 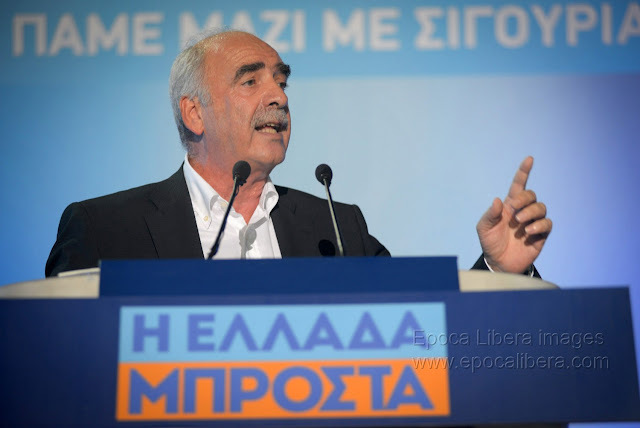 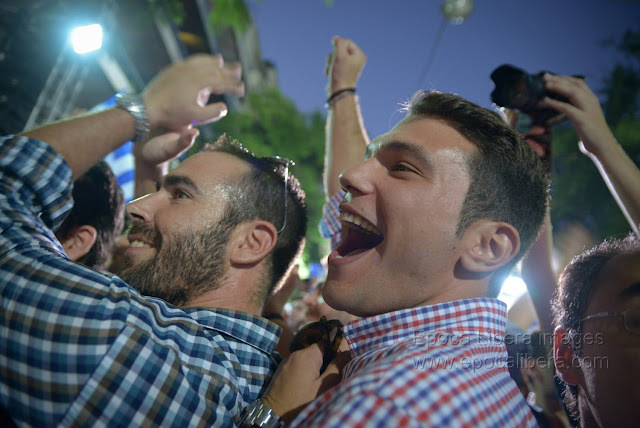 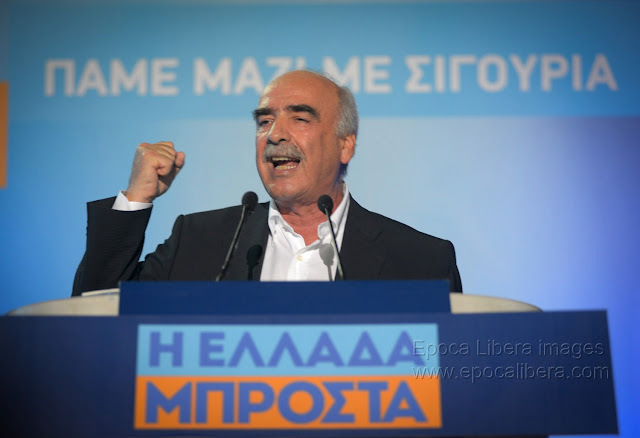 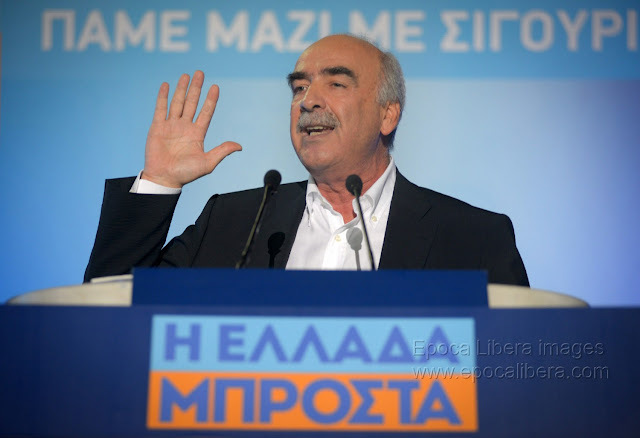 Greek main opposition New Democracy leader Evangelos Meimarakis opened the election campaign and spoke to a crowd of conservative party supporters on Rigillis Street in central Athens, Sept 1, 2015. 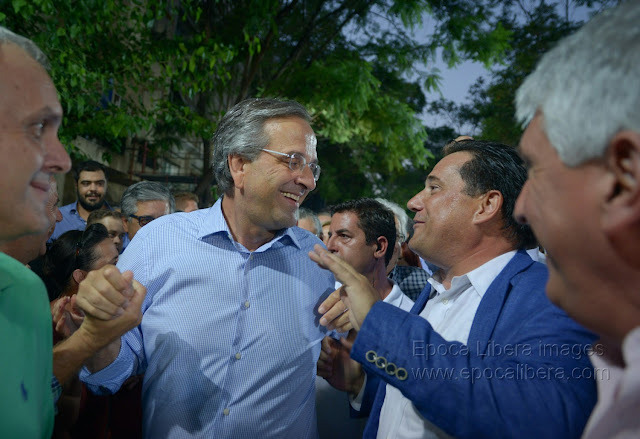 Former PM Antonis Samaras and his predecessor Costas Karamanlis also attended to the speech, along with a number of party officials from past and present. 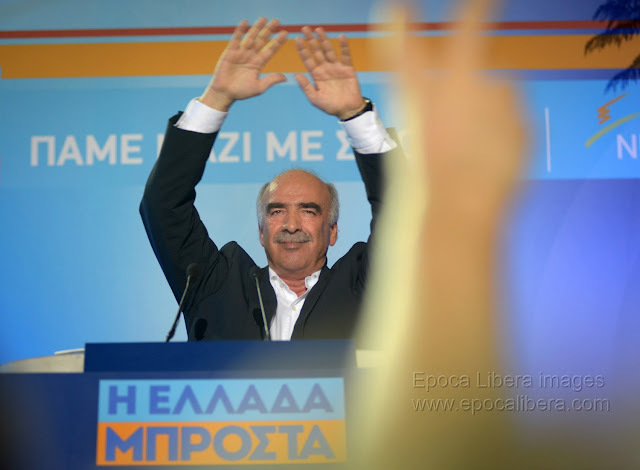 Greek main opposition New Democracy leader Evangelos Meimarakis gestures to his supporters during a rally of the conservative party in the center of Athens. 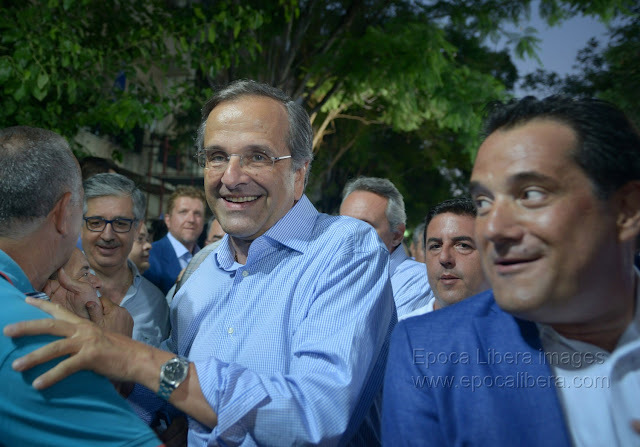 Former Greek PM Antonis Samaras attends the New Democracy election campaign in Athens, among the supporters of the conservative party, who cheer him. 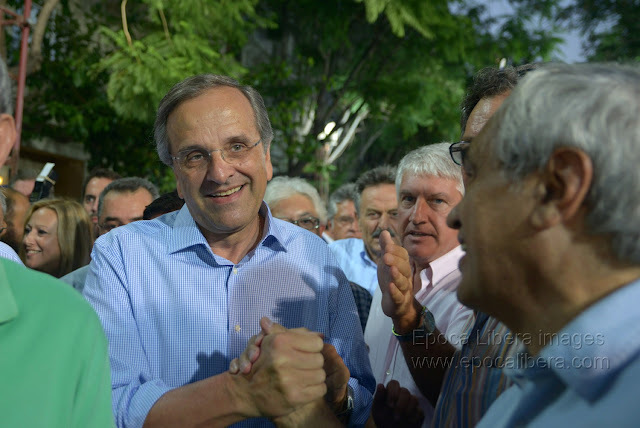 Former Greek PM Kostas Karamanlis attends the New Democracy election campaign in Athens, among the supporters of the conservative party. 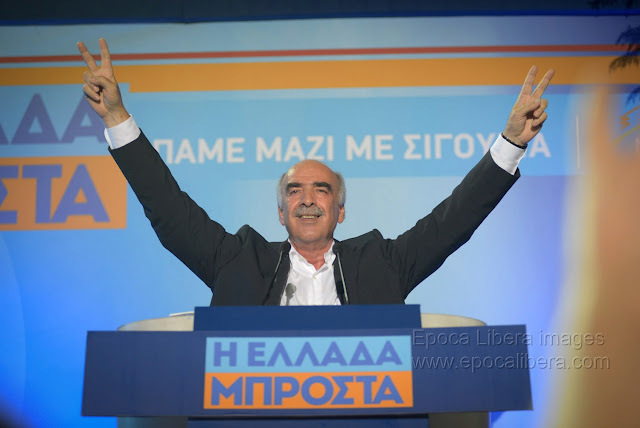 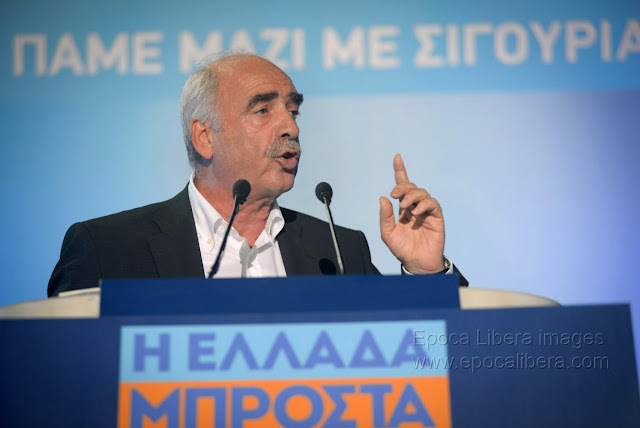 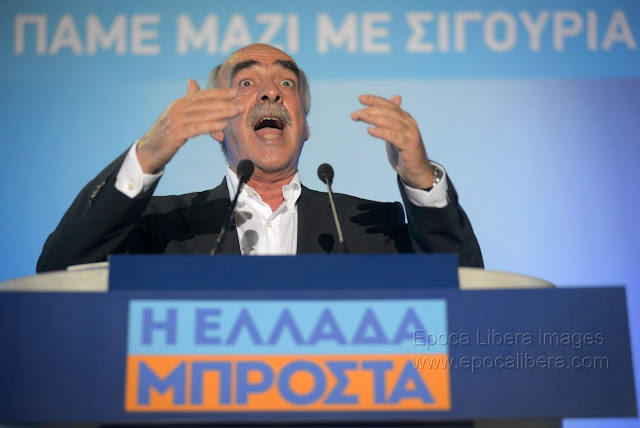 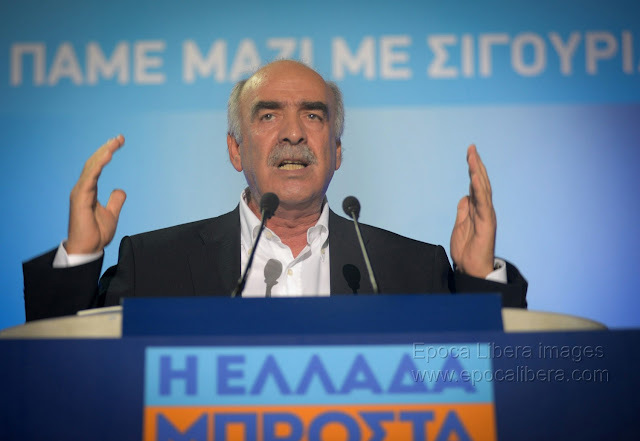 Supporters of the conservative party cheerGreek main opposition New Democracy leader Evangelos Meimarakis, during his speech. 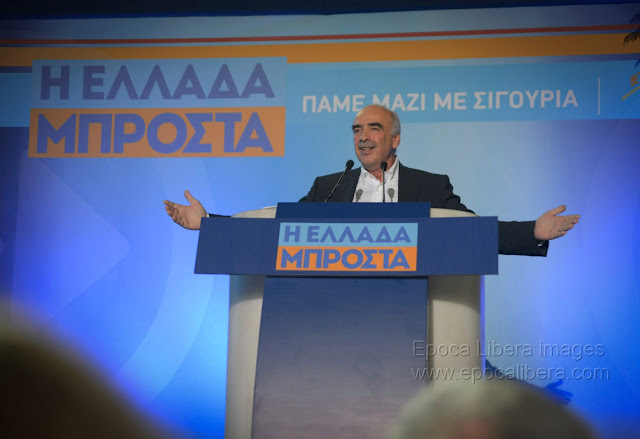 Greek main opposition New Democracy leader Evangelos Meimarakis addresses his supporters during a rally of the conservative party in the center of Athens. 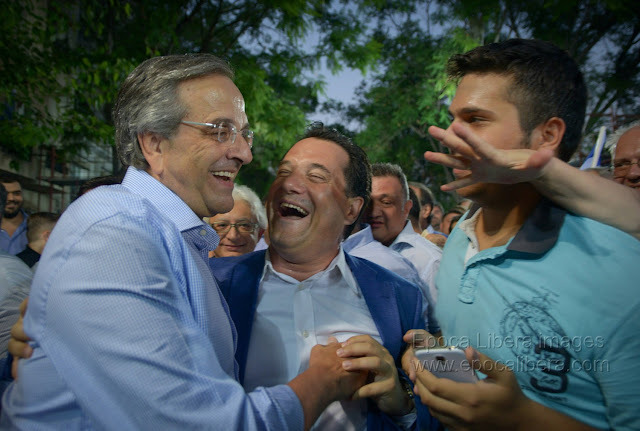 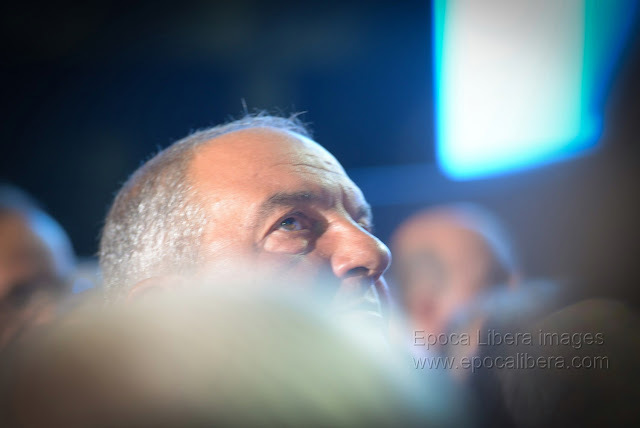 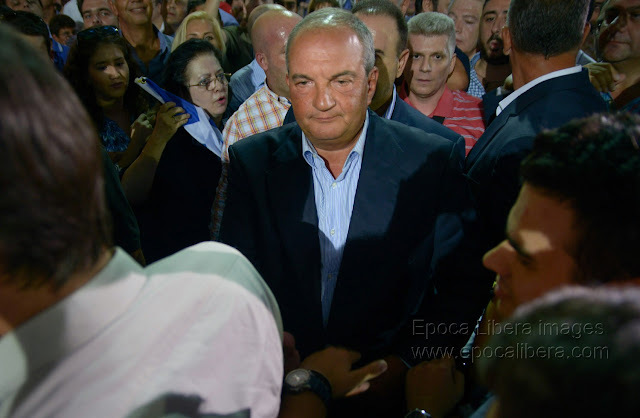 Former Greek PM Kostas Karamanlis is seen watching the New Democracy leader Evangelos Meimarakis during the rally, among the supporters of the conservative party.